Mark Twain was born in the hamlet of Florida; “Black Jack Pershing on a farm near Laclede; George Washington Carver, Tuskegee’s great research scientist, of slave parents near Diamond Grove… If these facts and place names are familiar to you, you’re probably a resident of the “Show-Me State.” Maybe you’ve been to Gang, Racket, Veto, Pansy, Cooter, or Sleeper, just a few of the colorful town names in this heartland state. If you are still attracted to the romance of the great American road trip, if you like the idea of learning as you go, if you love history, geography, architecture, little oddities and grand natural wonders, if you want to take a vacation but your wallet is looking slimmer than it used to… it’s time to delve into the fascinating world of the American Guide Series. Even with higher gas prices, the local haunts can give the most rewards for the smallest effort, with the help of this series, now in its respectable sixties. In fact, a great deal of vacating can happen just by staying home and reading the guides, teleporting back to a simpler time, a cleaner, less crowded America. Some years ago I pulled a book off the thrift shop shelf because I saw the words “West Virginia” on the spine. My husband Donnie has a thing about West Virginia; we’d just been writing a song about it that he later recorded. At the time, hardback books were a buck at Goodwill so I threw West Virginia – A Guide to the Mountain State in my cart, not realizing what a treasure I had mined. Franklin Roosevelt was in office longer than any other American president, and he put a stamp on the country, an inheritance for which most of us are grateful. He had a monumental task forced upon him, to get the country back on its feet as it was staggering from the body blows of the Great Depression. People needed work and they needed hope to go with it. There were unemployed able-bodied and able-brained workers at every level of society, from farmers whose livelihood was gut-shot by the Dust Bowl to small town merchants with no one to buy their wares, to writers and painters who had no patrons to pay for and enjoy their creative output. For all of these desperate folks, the WPA was created. The Works Progress Administration was founded around what is now known as FEMA, as a stopgap measure to deal with an economic emergency. Its philosophy was steeped in the times. People should work—but only one adult per household, and that would generally be the man unless he were disabled. The idea was that there needed to be a “primary breadwinner,” a concept now consigned to the ash heap of history. 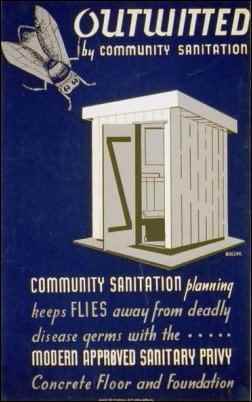 The WPA projects were administered out of the federal coffers, and overseen by states and local communities. Given many nasty names by its detractors (mainly in the business community), from “We Piddle Around” to “Whine, Piss and Argue,” the WPA nonetheless brought paid employment (up to 30 hours per employee per week) to hard hit areas, especially Appalachia and the Dust Bowl. Contrary to the opinion of Big Biz, Roosevelt envisioned the WPA as a means to counteract the humiliation of the dole, a way of restoring to the unemployed the dignity of and recompense for their labor. The WPA had many off-shoots. Old folks hereabouts remember the Civil Conservation, or CC Camps/Corps; many roads cleared by the Corps still bear its name. 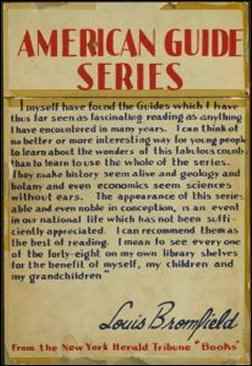 But lesser known was the Federal Writer’s Project that produced the American Guide Series. This project allowed writers and artists on their last shoe leather to work for a government stipend compiling mile-by-mile guides to all of the then 48 states. Smaller books and pamphlets were also thrown in as the project snow-balled. One of the more famous side pieces was Unchained Memories, unique and invaluable interviews with former slaves. Unlike other WPA groups, the FWP hired a reasonable proportion of women (but few blacks, though notably Richard Wright worked in one group). The professional writers generally had the task of composing segments about state history, wildlife, culture and religion, and of collating and editing the miles-on-wheels viewpoint of local FWP employees who pounded such pavement as then existed to ferret out sites of interest along the major highways as well as thousands of off-the-road attractions. Once Donnie and I started exploring the series, we were amazed at their value to our chosen recreation: leisurely auto travel on the back roads. It was surprising to see that many of the little-known wonders touted in the guides were still extant—everything from historical cabins by the wayside to healing springs to large apparently immovable slag heaps. I began to search for the books from online booksellers and we built up a collection of about 20 guides. Some volumes were too expensive and some unavailable, out of print possibly because some state legislatures did not like the political slant of the guides (leftwing, unionist, and human-scale, looking too closely at the lives of the poor, the minorities, the shanties on the wrong side of the tracks, and not enough at the big war-worshipping monuments and staid town halls). 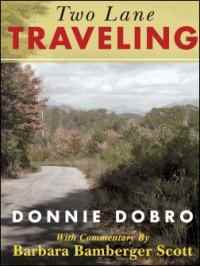 Not too many years after acquiring the West Virginia volume, Donnie and I co-wrote our own book, Two Lane Traveling, our homage to the AGS, highlighting our ramblings from East to West in the vast incredibly varied American landscape. 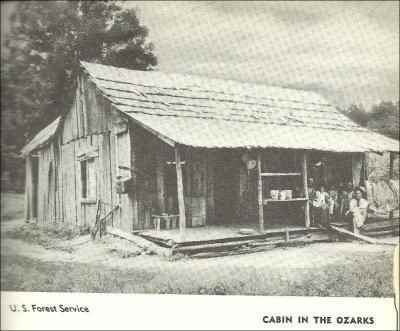 So go with us now to those thrilling days of yesteryear (if you’re old enough to know that reference, welcome to my world)—back to the late 1930s, when writers like Zora Neale Hurston, Frank Yerby, John Steinbeck and Conrad Aiken were lending their pens to the FWP and to books like Missouri, A Guide to the “Show Me” State. Much of the Missouri book was written by Irving L Dilliard, a noted Missouri editorialist known for his eccentricities and his outspoken views on human rights. His obituary (he died in 2002) records that, “Mr. Dilliard became a reporter at the Post-Dispatch in the late 1920s. His eccentric habits were as memorable as his talent. He wore no socks. He greeted others by shaking both hands. And he relaced the shoestrings of almost everyone he met, saying his way would make them more comfortable.” As to his political/humanitarian views, “In 1954, Mr. Dilliard wrote A War to Stay Out of, a series of editorials warning against any American involvement in the conflict that became the Vietnam War. His colleagues would later say those editorials went beyond visionary to clairvoyant.” So though his name may not ring as loud as some of the other Guide authors, Mr Dilliard well deserves his place in its pantheon. In addition to writers, noted photographers of the day (usually un-credited) were often engaged to capture charming, sometimes poignant, local ambience. Each book contains up to 30 pages of black and white photos. Paying due respect to their employers, the Guide photographers took pictures of post offices where WPA murals were featured, as well as state parks, dams, and “modern” institutional buildings. 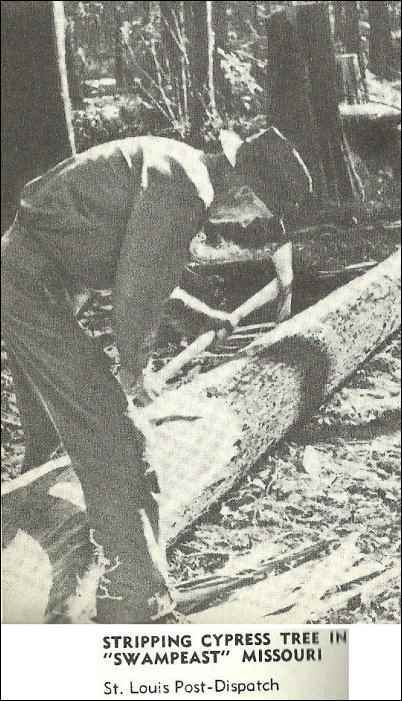 In almost every volume, much attention is paid to local artisans and the traditional craft schools that were trending at the time, often also part of the WPA schemata. 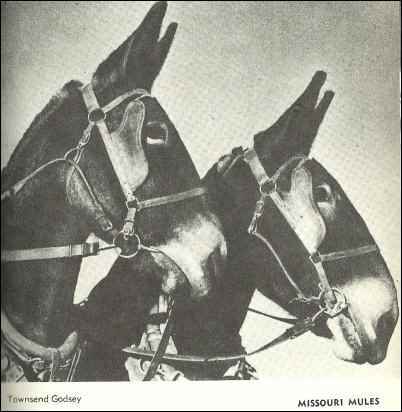 Missouri, A Guide to the “Show Me” State has maps included in the text (in some cases, large maps were folded in the back inside cover). Like all the Guide series, the state was divided into tours; each tour gives a mile-by-mile description of any notable landmarks. Donnie and I took one tour last winter, past the frozen Mississippi River, into Hannibal for coffee and a look at riverfront streets that Mark Twain might yet recognize, across the state in a nearly straight line on Highway 36 to St. Joe where we hoved in for the night. It was a day of cold blowing snow on flat farm fields, with lonely houses dotting the grey landscape. But the impression of Missouri cannot be completed by seeing just one part. Farther south are the Ozarks (not mountains, we are told, but a fallen plateau or “uplift”) with its independent hardscrabble farmers, and the Mississippi itself providing a French/Cajun influence. The Civil War scarred the state with mixed sentiments and guerilla raids. No wonder Missourians grew skeptical, with so many varied outside influences, and took on the “show me” attitude. So how have progress and 60 years changed the Show Me State? Consider the mysteriously named town of Cabool. Some say it was titled after an Indian chief, and others that it is a corruption of Kabul (Afghanistan). One thing that has not changed since 1941 is chickens. The Guide states that in Cabool “almost every farmstead has its orchard and flock of white leghorn chickens… as the farmers say, ‘You cain’t never tell about fruit. Frost or blight is apt to get it. But not a hen. A hen works right on, rain or shine.’” Caboolians still hold with this philosophy and poultry farms are a common feature on the current landscape. One institution has evolved, but not substantially altered, since its founding in 1907. In 1941, from Tour 9 of the Missouri guidebook: “At 173.6m. is a junction with County P, a graveled road. Right here, following a narrow ridge above deep valleys, to the School of the Ozarks, 0.3 m., sponsored by the Presbyterian Church…The students earn part of their tuition fees by working 16 hours a week in the school’s cannery, dairy, print shop, or power plant, or on the school farm.” Today, the College of the Ozarks is still a strongly Christian-based learning center that charges no tuition, accepts no federal funding, prides itself on having a low acceptance rate, no debt, and being a “stone-cold sober” campus. No tour of Missouri would be complete without casting an eyeball on that modern music fenom, the city of Branson. Even 60 years ago, Branson (Tour 9) was “predominately a resort town. Tourist and fishing camps, hotels, and boat docks line the shaded lakeshore. The business district is filled with cafes, taverns, drug stores, and novelty shops.” When next you hop off the bus at Branson to take in the country music shows, don’t forget to visit Matt’s Cabin, a humble homestead that inspired the writer Harold Bell Wright when he created the nostalgic novel, now an outdoor drama, Shepherd of the Hills. 1) reminds us of the Daniel Boone connection in Missouri. The guide’s authors judiciously state “it is believed that Daniel Boone visited the springs soon after 1800 and made salt here…whether or not this be true, it is known that his sons, Nathan Boone and Daniel Morgan Boone…bought a dozen 20-gallon salt kettles at St Louis in 2006, transported them to the Lick, and began the manufacture of salt.” Boon’s Lick is now a State Historic Site, and still off the beaten path. I’m hoping I’ve inspired you to look up the American Guides Series book for your home state (some were revised in the 1950s-60s, some went paperback, and nearly all are available for online reading). Take an armchair vacation, or better yet: crank up the car, pack a picnic, and roam with the family in tow. Let Mama read aloud from the Guide while the kids peer out the window looking for lesser known waterfalls, by-gone industries, and the occasional gem of a farmhouse or ancient wagon ruts or runes on rocks, someplace where everyone can sense what life used to be like before the intrusion of interstate and internet.